I was eating a California veggie roll for lunch at my desk at work recently. A friend asked what it was, knowing I’m vegan. She thought I was eating imitation crab meat, which I think is still made of fish. Then came some ribbing – a bit less good natured than I intended – about the animal and plant kingdoms and which one fish belonged to. You see, my friend didn’t have a strong opinion as to what fish actually were. Fish are animals, folks. They are living beings with their own interests. They don’t grow to 90 lbs to be cut up and served at the local Whole Foods, to be tweeted about like a thing, to be confused with plants. Countless young children are given goldfish as pets. Last I checked, you don’t give your child a pet plant. You might give him a pet rock, but that’s beside the point. Why is it that, when presented in this setting, people have a much easier time discerning who a fish is and what his place is in the world? Fish don’t grow on trees. They don’t happily shill themselves in Star-Kist tuna commercials (I’m sorry, but Charlie Tuna is offensive). They gasp for air before they are thrown back by amateur fisherman. They live with their own interests in mind. 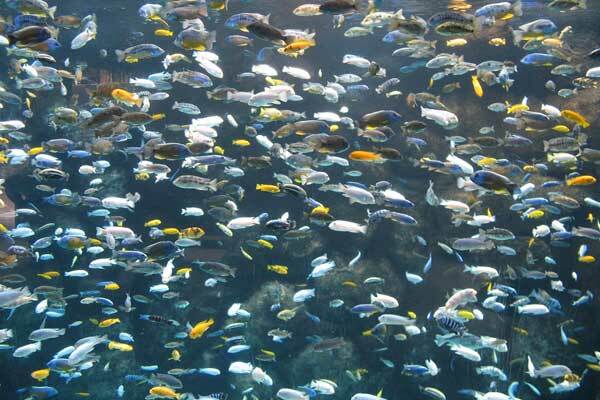 Fish have brains and nervous systems, like other animals, including human ones. They have spinal and cranial nerves for sensory perception. They swim in schools, which demonstrates a motivation to be social – something they have in common with humans. I have never been a “fan” of fish, so to speak. This stems from a childhood where dead members of my parents’ aquarium school would be found on the floor, having jumped to a sudden death. But that doesn’t mean I never understood who they were. You don’t have to like or love someone to respect their right to live their life. I might never have warmed to Dad’s African cichlid, Bully, but I understood that his purpose in life shouldn’t have been to live in a fish tank. So, to sum up: Fish are animals. Someones, not somethings. And certainly not plants. Spread the word. Why is it important to be vegetarian or vegan? Vegetarian make up roughly 3.5 % of America population and vegans .05% . I understand that you speak bad about people that eat meat or kill fish for consumption. Like I’ve stated I’m truly against any kind. Of animal abuse or anything living. Their are humane ways to do things. But let face the facts. If even America were strictly vegan or vegetarian, we couldn’t produce enough food to just feed the USA. Think of all the other animals that need plant life to survive and fish(sea weed) ect. That why animals and fish have evolved for human and their own kind to consume. Like I stated before, I love vegetarian and vegan dishes. But I believe it’s wrong to condem people for eating animals/fish. People have been eating meat since early prehistoric times. That’s something that will never change. I just believe these blogs should respect other people values. Some areas of the world you consume what is available to you. Be it plants or animals. To each their own. Perhaps it’s a coping mechanism. The less “like us” someone is, the easier it is to use them.